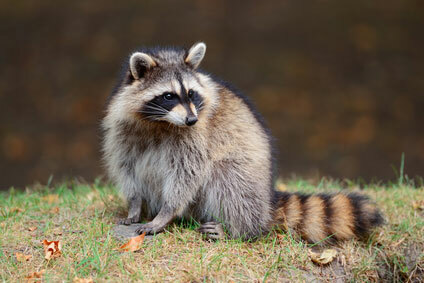 What is the danger in removing a raccoon latrine? The CDC states "Raccoons are the primary host of Baylisascaris procyonis, a roundworm that can be harmful to people. Roundworm eggs are passed in the feces of infected raccoons, and people become infected by ingesting eggs." Anyone is potentially at risk when exposed to an environment where raccoons frequently visit. The CDC also warns us that "Young children or developmentally disabled persons are at highest risk for infection as they may be more likely to put contaminated fingers, soil, or objects into their mouths." What should you do if you find a raccoon latrine? Latrines in or near your home should be removed and cleaned to prevent possible infection. Extreme caution should be exercised and the Human Society suggests cleaning and removal be left to the professionals. The professionals at ServiceMaster by Marshall will remove and thoroughly clean the affected areas. To prevent further contamination, ServiceMaster will also safely and humanely remove and relocate the raccoon. Schedule your appointment by calling us directly at 1-800-559-9198 or by requesting service through our online contact form.